Custom receipt message for business name etc. 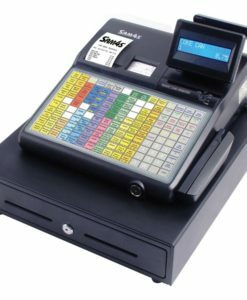 Featuring a flat panel 72 button keyboard, the Casio SE-C450 is a great value till ideal for pubs, restaurants and other hospitality businesses. Stylishly designed in black, the SE-C450 can store up to 3,000 products across 50 departments. The keyboard allows easy one touch registrations for products with preset prices. Fitted with an SD slot, the SE-C450 includes a data backup facility which allows you to view sales reports on a PC. It can also be easily programmed via the SD card slot and special PC utility software. A quick, quiet thermal printer produces crisp receipts in seconds and also allows you to print custom messages and logos on your receipts. 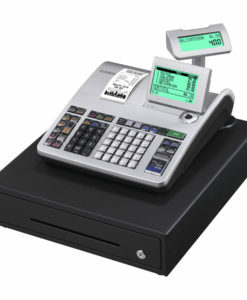 The large, clear operators display provides instant feedback on transactions and makes the till very straightforwad to use. 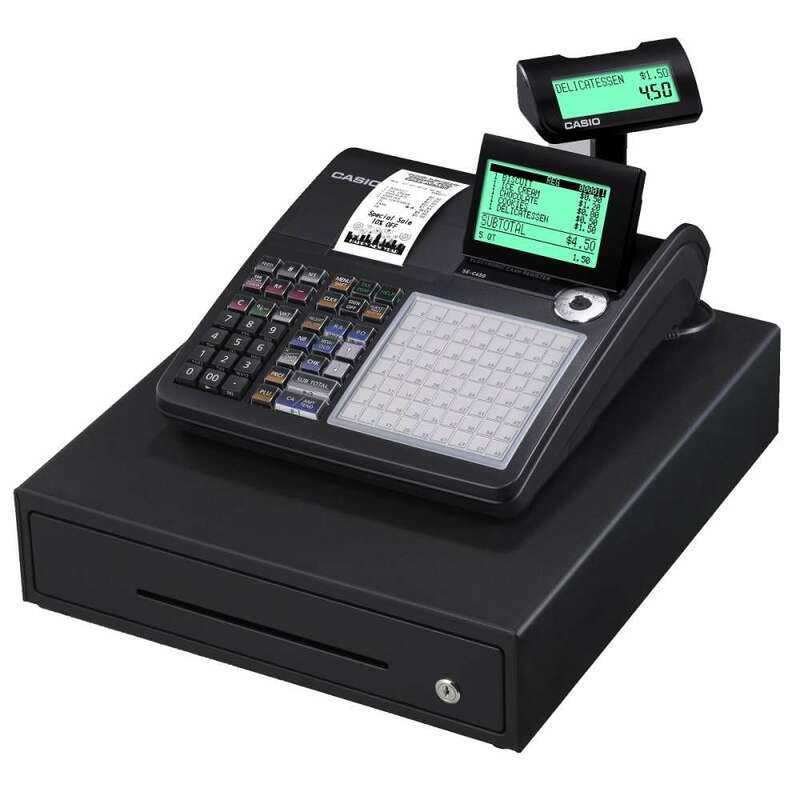 Two RS232 ports support accessories such as barcode scanners. A great value, powerful till, the Casio SE-C450 comes with a 4 note/8 coin cash drawer as standard.